How to add one small (but critical) thing to your day? Nurturing children transpires into a mighty challenge! You spend time with them, read to them, carpool them all over town, offer healthy foods, make sure they brush their teeth, enforce a respectable bedtime… you love them! You are doing a great job, especially because you push through when it gets hard. Because, sometimes you don’t have all of the answers. I’m giving you permission to add one small, but critical thing, to your parenting portfolio. Keep on trying to add conversation about faith issues. Figure out where you are regularly gathered all together. (In the car, at the dinner table, or at getting-ready-for-bed reading time). Make a new daily habit. Ask just one question: Where did you see God today? Allow time for digging deeper. Empower your family to wonder at the mystery of what God is up to and how he wants to be in your life! 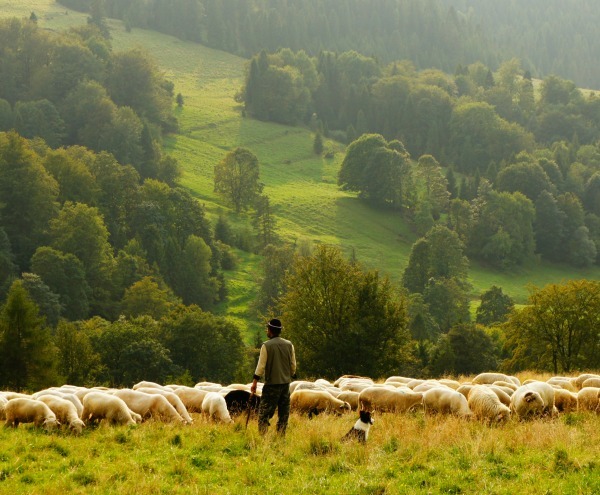 Shepherding sheep by Biegun Wschodni, who has released this photo to the Public Domain. Offered at unsplash.com. ← How to practice kind words? Chutes and Ladders anyone?